The purpose of this SNAP-R version is to the new features of SNAP-R to the Exporter. The first added feature is the implementation of a self-service password/CIN/UserID recovery system. This new feature requires the users select and answer four (4) out of ten (10) pre-defined security questions. Once completed, every SNAP-R user will have the ability to retrieve their userID, company CIN, and create a new password online. You still enter the Login ID and password chosen during the new user activation process along with your CIN. Click Login to log into SNAP. Click Clear to clear the contents of the form. To enable this new feature of SNAP-R to give a user who has forgotten their Login ID (Applicant ID), Password, or CIN the ability to Self-Help the recovery of the forgotten item, multiple questions and answers are used. All users who have not created their secure Security Questions and Answers, will be redirected to the User Security Questions and Answers page. This page lets you create the four questions and answers currently securely stored. You may select four questions from the drop-down selection box as long as the questions are not duplicated. You may also enter any answer to each question as long as they are unique also. After any changes, select Submit or Cancel to submit your new security questions and answers, or cancel the screen. Common security practices recommend you change your password at regular intervals. On the left menu of the SNAP-R home page, you can manage your password by selecting the menu item User Security Questions. The second update is the Reference Number format in the "Create Work Item" pages. All new Reference Numbers are alphanumeric, as displayed here. 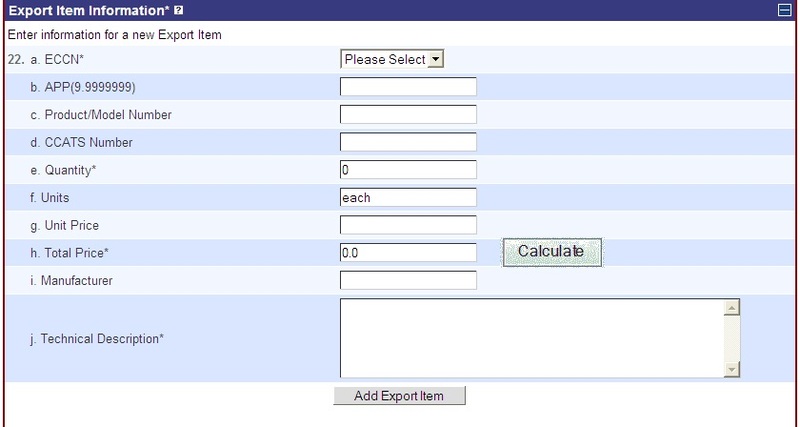 The third update is on the Export Items sub-form of the Work Item form. The user can manually enter the "Total Price" of a new Export Item or select the "Calculate button to have it calculated"
For additional information not covered in this manual, If you need assistance, please contact your local administrator first. If they are not available or cannot answer your question, contact the SNAP-R Help Desk at (202) 482-2227 or send an email to snapr@bis.doc.gov.